Do you know what happened 100 years ago ? 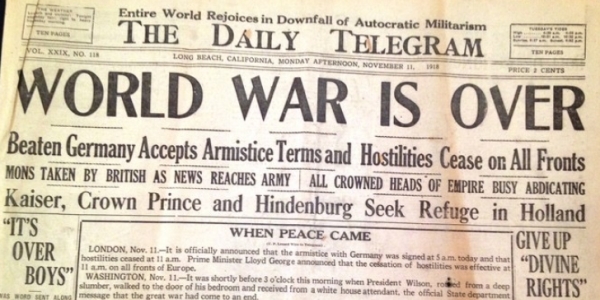 On “the eleventh hour of the eleventh day of the eleventh month,” the armistice between Germany and the Allied Powers comes into effect. The Great War is over. 100 Years ago, I would just say that things were simple. Yes, and it marked the beginning of much of what happened later in the 20th century as a consequence. Where were you when the Gulf War Oil Spill happened? Who is the most important leader in U.S. history? What would you put inside a time capsule to be opened in 100 years?